Our Hannover Fair booth offers you a chance to experience 21st century learning – live and virtual. At the Festo Didactic Virtual Learning World, participants experience a vital and trending subject in the fields of digital and future learning. 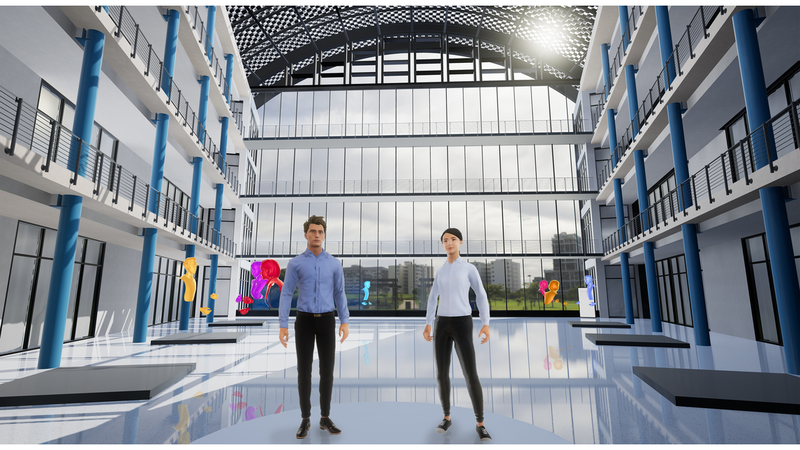 The Virtual Learning World is a bridge between hands-on learning with physical learning systems and digital learning with virtual reality (VR), where students and teachers meet their avatars and interact just as they would in person. Collaborative scenarios and repeating sequences can be experienced as often as needed, and trainings can involve participants from all around the world. In the protected virtual world, potentially dangerous training can be experienced without any harm to person or equipment. Put on the VR glasses and experience true immersive learning.